Ride sharing service is becoming more and more familiar and interesting to the citizens of every busy towns and cities. Towns have bus, minibus, pickup, motorcycle, car and other vehicles for transportation. Resident of cities and towns though have own car, motorcycle and other vehicles, for traveling they feel uneasy to drive it by own in the present road because roads are more dangerous and ongoing repairing create a unbearable difficulties to them. So they feel easy using ride sharing service. Basic requirements for ride sharing is to use application with GPS enable mobile phone. Internet Company also gets an extra opportunity to get internet user as every ride sharing users need to access internet. They regularly use data and purchase internet from telephone operators. In this respect Grameenphone will be number one because Grameenphone has the fastest internet service capacity in Bangladesh. Other operators also provide data volume with considerable price but network is the key for internet use. Rather there are no alternative options to the biker and rider at this moment. Banglalion has LTE service but it did not maintain its standard service and regularly losing its connection is another problem. So Now Grameenphone and Robi lead the market with internet service. Mobile finance is also getting some advantage by this ride sharing service. Primarily peoples pay fare with cash but now they are moving on cashless and it seems that propels of all ages love to pay from their mobile account than in cash. In this way Bkash get most advantage. Bkash a Brac bank company has 30 million account holder and most of them are young and universities students. The interesting fact that the most of the riders are also university students or job holder. Pathao and Shohoz introduce their own payment wallet but it likes people feel comfortable using Bkash rather using another mobile payment. Now many biker take ride sharing as their source of income and do good even earn healthy amount of money at the end of a day. According to Pathao, a full-time biker can earn 20 thousands taka per months. A part-time biker earns 10 to 15 thousands taka a month. It ensures their need and save time and give them opportunity to enjoy life without any boss pressure. Pathao confirms that they have 40 thousands registered motorcycle on their system and the number increase day by day. Shohoz rides though started its service with the selling bus tickets starts attracting peoples like university students and the people who want to lead a free life. Ride sharing service is totally free and depends on the rider and driver. If someone does not like to share ride, he can opt out from the apps and enjoy his life. It’s fully functional on internet and both biker and rider have to install apps to use this service. Mr. Akram says” before ride sharing, it took 2 hours to reach my university by bus and the fighting for bus every time beyond description. Now I use Pathao and reach my university with in 30 minutes and the fare is also very relevant. I enjoy Pathao rides and I complete 100 rides recently and also gets gift from Pathao service. Pathao and Shohoz together are leading the country and moving Bangladesh. Both companies want to spread its service all over Bangladesh. 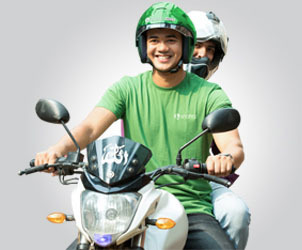 Ride sharing service is now popular only Dhaka and Chittagong. The world leading ride sharing company Uber is operating its service only in Dhaka. Most of its vehicles are cars. Sylhet a peaceful city in Bangladesh has similar problem. Pathao and Uber do provide their service in Sylhet but do not get so popularity because the city is too small and peoples have available transports to travel anywhere. Recently Shohoz introduce ride sharing service and get a positive result in their new initiatives. A foreign investor invest huge amount of money in Shohoz Limited for meeting the upcoming competitions in markets. CNG, a three wheel gas vehicle, is the most usable vehicles in Sylhet. The residents of Sylhet city are so unlucky because they do not have any public transport. It is very unfortunate for all. Bondor Bazar – Amborkhana- Airport Road. Amborkhana – (Shahjalal University) Sumamganj Road. Bondor Bazar to central bus terminal. The peaceful city Sylhet is becoming the next destination for ride sharing service. According to Bangladesh government Sylhet is the Wi-Fi City of Bangladesh. A huge opportunity available to operate Ride sharing service these areas and generate good revenue as well as do provide welfare service.